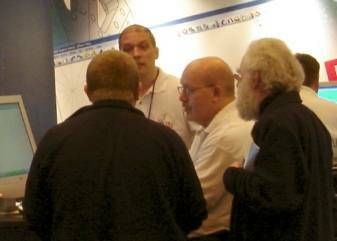 Increasing numbers of companies are finding that customers want to send drawings and design data via broadband e-mail - or by post on a disc. 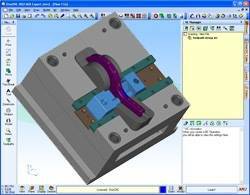 It also seems that advances in CAD/CAM technology have filtered down to all sectors of industry, and if businesses do not have a grasp of this technology, it is likely that they will lose work. One small company to appreciate this fact is Ashford-based Sampson Plastics, which not only has a grasp of current technology, but is also maximizing its potential by producing tooling and moulds at very competitive prices - and it winning additional work as a result. When company director Dave Sampson first invested in a popular CAD/CAM system a few years ago, he found that it was not the highly productive tool he had anticipated; and when an upgrade package also fell significantly short of his expectations, he sought an alternative system.It was only when Mr Sampson began using this new software that the benefits of CAD/CAM really became apparent; the replacement was a modular suite of software from OneCNC UK. 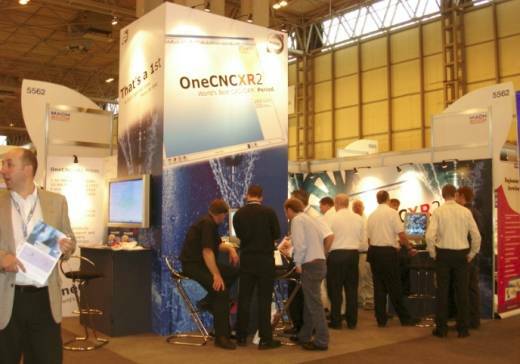 This software - the sixth generation from OneCNC, known as XR2 - is fully integrated and unified, and it uses CAM 'wizards' for all toolpath-related operations. These guide the programmer through the process of setting up the tooling and toolpath strategies that are necessary for the efficient machining of anything from a simple two-axis job right up to five-axis positional work. Sampson Plastics' CAD/CAM programmer, Richard Austen, is putting the software's features to good use as part of the company's one-stop 'art to part' service. 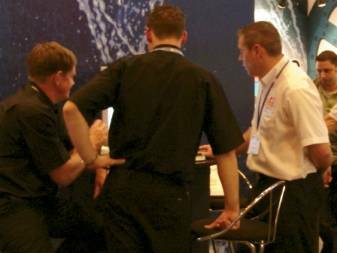 In fact, most of the injection-moulded part and tool design that Mr Austen undertakes has come as a direct result of the company being able to approach customers with a viable proposition for updating their product lines. 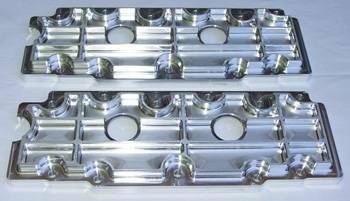 "However, achieving this enviable position is only possible because the software is intuitive and productive, to the extent that redesigning tooling and moulds can now be done at a very competitive price, which was not the case previously," says Mr Austen. I’ve always been somewhat of a performance and racing fanatic…somewhat of a “car nut” if you want to call it that. A few years ago I got burned out on the corporate life, and I wanted to switch gears and do something that I like and have passion for. 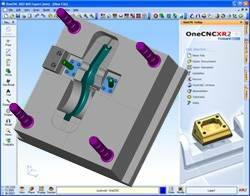 A friend of mine who was involved with CNC Machines and was shopping CAD/CAM software introduced me into the industry; he was the one who informed me about OneCNC. We exchanged notes and I learned what I needed to do to get involved with the industry. 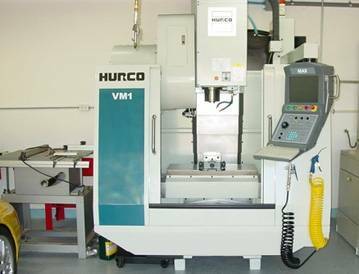 Not long after, I decided to take the plunge and purchased a new Hurco VM1. Hargett Precision Products was underway, and business took off. 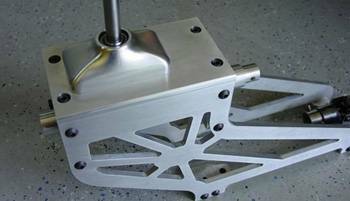 The primary focus of my business is to design, develop and manufacture my own line of products which consists of high performance Porsche parts, racing parts, street performance parts, and typical job shop parts. The machine and software that I chose has allowed me to be extremely successful in the last 2 years. I have been really happy with the decision I made. 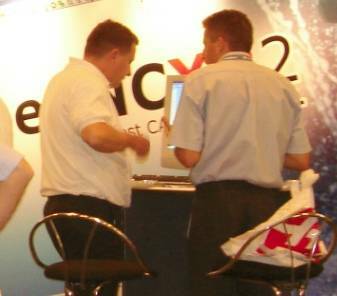 When I initially involved myself with the manufacturing industry, I tried a ton of CAM programs: MasterCAM, EasyCAM, SurfCAM, there was an entire plethora of programs to evaluate. All of them were really, really expensive and had a pretty deep learning curve; none of them were what I would call intuitive at all. I consider myself somewhat computer savvy, and I have always believed that a program should really be about ease of use and intuitiveness, and that is the first thing that really set OneCNC apart from all of the rest. In terms of functionality, OneCNC was completely capable of handling my complex parts. 1. If you look at the user interface, and ease of use, and the amount of time you will spend getting up and running, no one compares to OneCNC No one should have to spend weeks, or months, or whatever it is to learn a new program. 2. The cost of OneCNC is hands down the best value for CAM out there! And 3. The support; I mean, anytime I’ve had a question or did not understand something, the support and online board have been absolutely great. One reason I keep my customers coming back is because I have the ability to design, program, and machine it very quickly and very fast. OneCNC is a huge part of that process because the CAM portion is a breeze.